The Carolinas are bracing for Hurricane Florence to make landfall in the next hours as category 2 with maximum wind speeds between 96 and 110 mph. 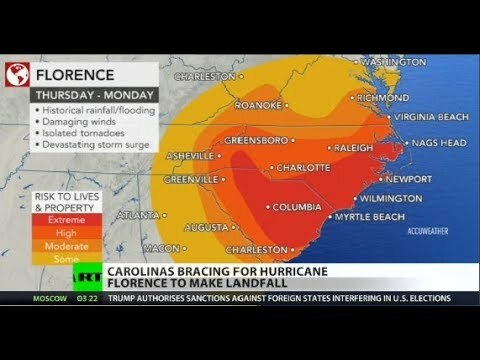 According to the National Hurricane Center, Florence is predicted to slow over the Carolinas causing flooding from heavy rain. RT America’s Sara Montes de Oca with the latest.